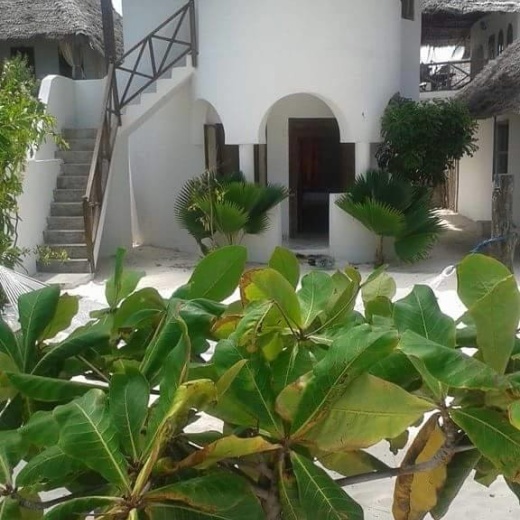 Our Bungalows are thoughtfully designed, they all have a fantastic sea view and are fitted with mosquito nets, ceiling fans, showers with hot water and a balcony. This is a ideal place for couples and families who are looking for an affordable sunny holiday. Al Hapa Bungalows was built 2010/2011 and is a charming hotel with bungalows, restaurant and bar. It´s located directly on the beach with just 7 meters to the lovely turquoise ocean. Al Hapa Bungalows can help you to arrange trips to see the island or go to mainland to do a wounderful safari. Just contact us before your visit and we will give you a good price for the trip. Enjoy our delicious local- and international dishes from our excellent kitchen, we serve fresh sea food and vegetarian meals daily. Visit our Bar which is right on the beach and let us serve you a nice cocktail with fresh fruits or a ice cold drink while you listen to some good music.